Amazon has added a set of questions that Alexa will be able to answer for the 2018 World Cup. This was already available through Google Assistant and Siri, where you could track the results of your favorite teams' matches. Now it's the same with Alexa, who has received a range of questions that will help soccer fans and fans. 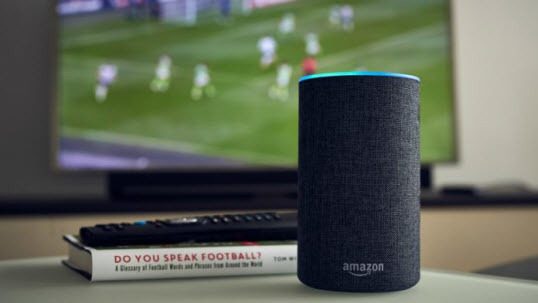 There are a bunch of questions that may be specific to those who are new to football, such as asking "Alexa, What is a ‘false nine’ in football? " Or the question of" Alexa, What is counter-attacking in football? "And other questions concerning multiple football concepts. "Alexa, who scored for Germany? "Alexa, when do Iceland play next in the World Cup?" "Alexa, what's the score of the Panama game?" "Alexa, did Japan win in the World Cup?" If you want to get everything new about the World Cup, you can simply say "
"Alexa, how do I bluff my way through the World Cup?" "Alexa, what's the latest with the World Cup?"